Everyone in Texas knows how hot summer temperatures can get, and how important our central air conditioning units are. In Longview and other areas, Texans have to deal with temperatures that regularly rise over 100 degrees Fahrenheit. With this high temperature, getting stuck without air conditioning can be extremely bad for us, if not fatal for some. Small children, the elderly, and the ill are at the highest risk for death in hot temperatures. And it’s sure that everyone else will have trouble dealing with the unbearable heat. Air conditioners do a lot to relieve us of this uncomfortable situation, but they can also help with improving air quality. A good central air conditioning system helps us to feel more comfortable and live healthier lives. Good quality air is equally important. Many Longview air conditioning systems will filter the air effectively, eliminating dirt, dust, pollen, and other contaminants in the indoor air. Most standard air conditioning units in Longview will effectively remove the heat from the room and replace it with cool air. Central air conditioning units in Texas are generally the type with heat pumps. The heat pump unit will both heat and cool the home by using refrigerant. Typically, a heat pump run on electrical power is all that’s needed for Texas air conditioning and heating systems. In colder climates, a fuel run heater is much more efficient, but is way over powering for our temperatures here. When the air conditioning goes down, you don’t want to be stuck in your home while waiting for repairs. Having a good, reliable air conditioning expert on call is a great idea. Air conditioning repairs can be made quickly and efficiently by the right contractor. In Longview, that would be A/C Contractors. A/C Contractors is a full service HVAC company that has served the area since 1987. They are air conditioning, heating, and indoor air quality experts serving the Longview area. They provide fast and efficient response to all emergency A/C calls. Sometimes it can be hard to find a reliable repair person when you need help to fix your HVAC system. You need the problem fixed right the first time. That means your air conditioning repair specialist needs to be experienced, skilled, and possess all the right tools to expertly troubleshoot the problems. The technicians at A/C Contractors stay up to date with their training and all the latest technologies. Plus, you get up front, honest prices. You can’t predict or control when your air conditioning is going to go out. But you can do some things to prevent it. 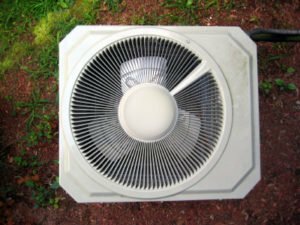 Calling to schedule an air conditioning tune up prior to the season change will greatly improve your chances of having a perfectly running system all summer long. It will also help your unit to last longer. 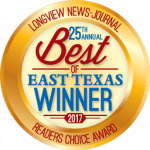 If your Longview air conditioning system hasn’t had any attention lately, it’s time to get it tuned up. Just like any mechanical system, it needs to be lubricated, cleaned, and repaired where needed on a regular basis.